Does snow75 belong in this group? 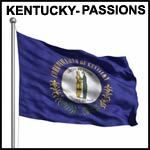 What is it that makes Kentucky home for me? Does missmarie22 belong in this group? Does mammaofthree198 belong in this group? Yee Haw! Don't ya just looooove this state? LOL Yeah, me too. Lets chat about it! Does fredalan68 belong in this group?